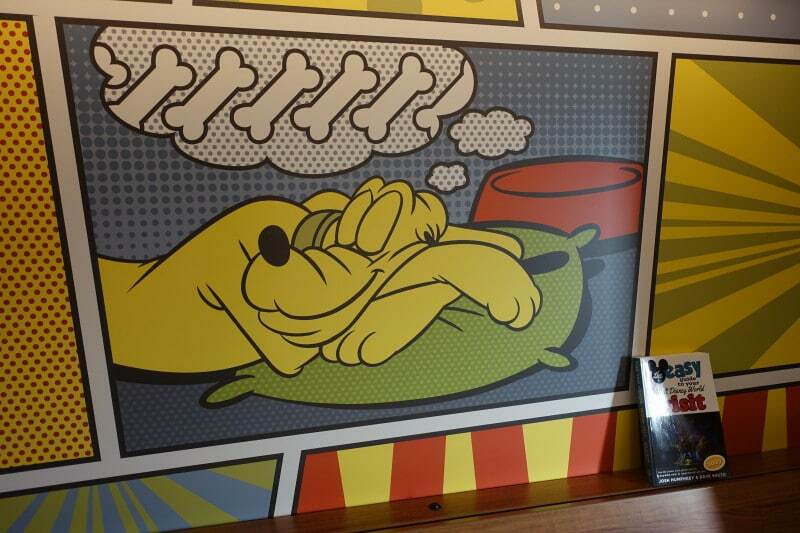 For the first page of this review of Disney’s Pop Century Resort, click here. 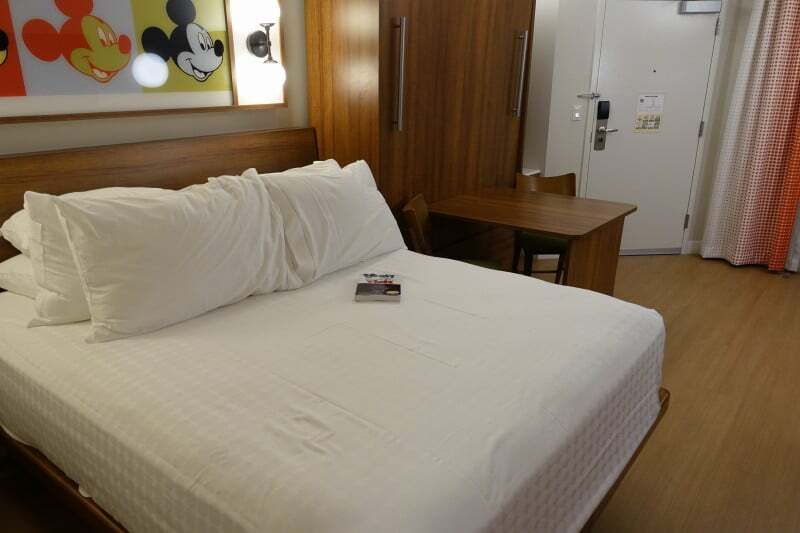 Disney’s Pop Century Resort completed a room refurb project in the summer of 2018. 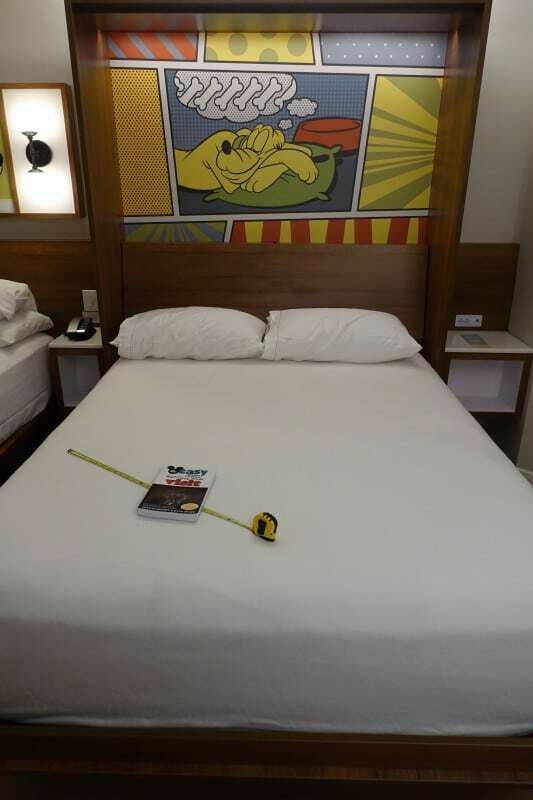 The key positive features of the refurb are the first queen beds in value resort standard rooms, and the first coffee makers in value resort standard rooms. 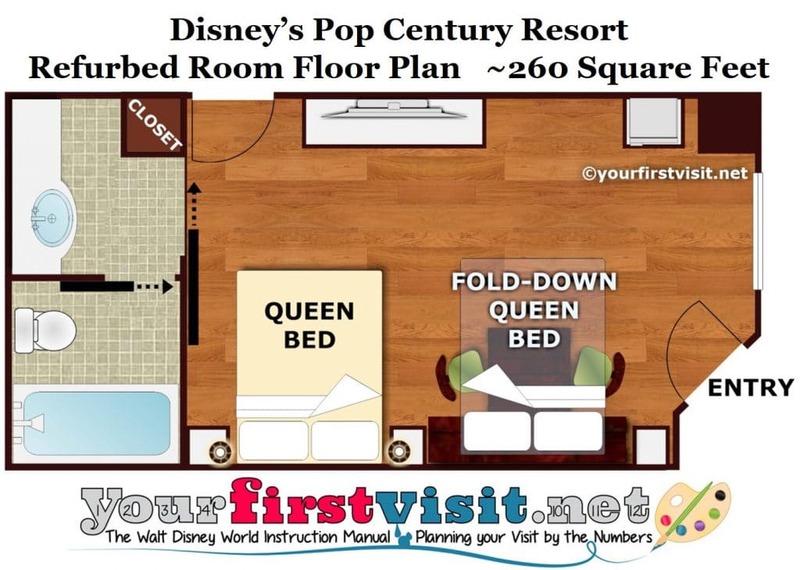 Less universally praised is the bright white color scheme–exacerbated by the loss of the colorful bed stripes, which is happening generally across Disney World resorts–and the fact that one of the queens is a fold down bed that disappears the table and chairs while it is down. 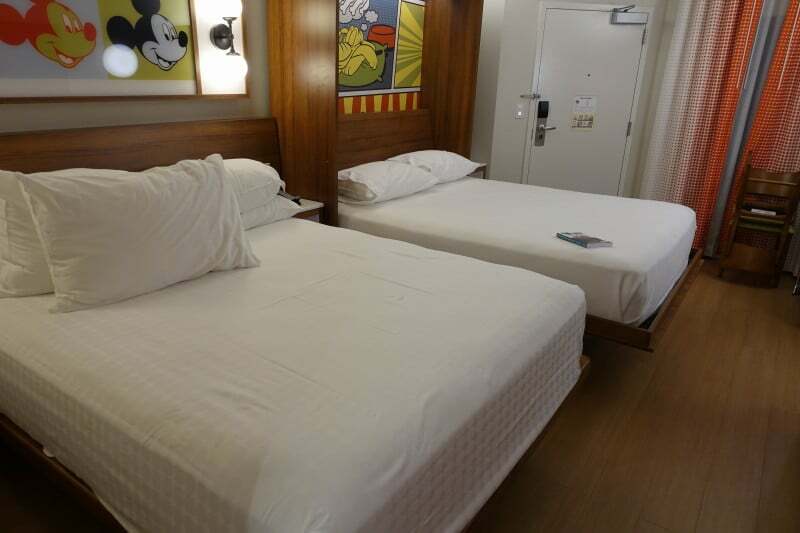 I had the chance to stay in one of these newly-refurbed Pop Century rooms in late July, so here’s a photo tour and my observations. 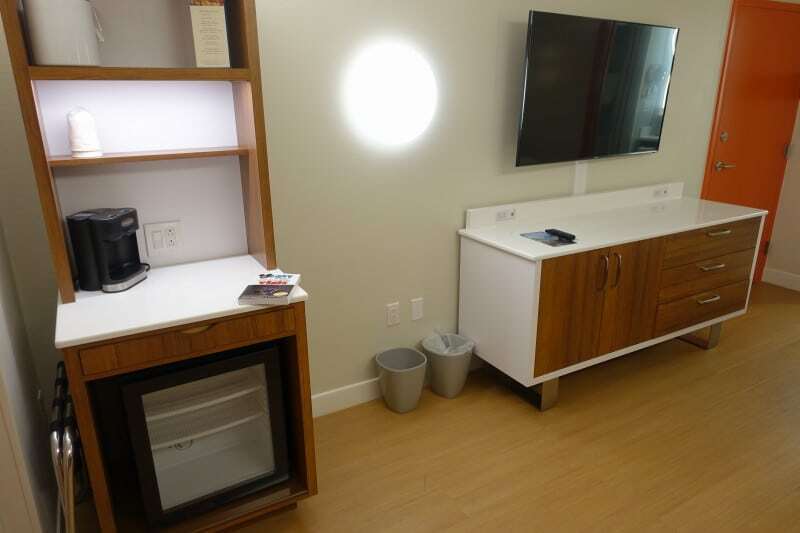 One side of the room has a thingy with the coffee maker above and the mini-fridge below, the dresser and TV, and a connecting door, if present. The coffee thingy has multiple crannies and cubbies, a general feature of this room. Note the folded luggage rack tucked in at the side. 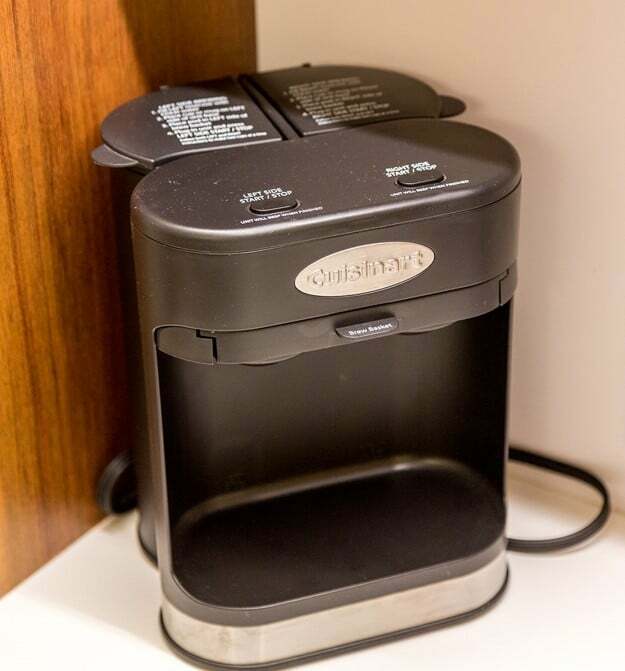 A closer look at the coffee maker. 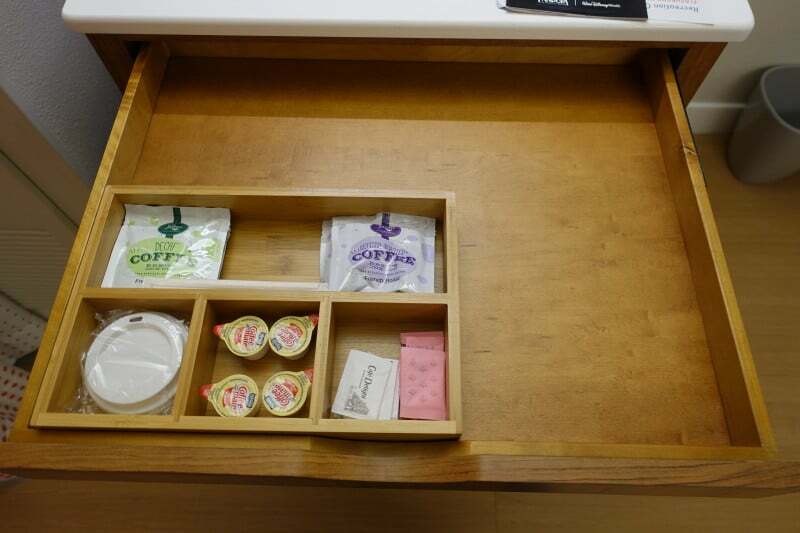 The drawer in the thingy contains the coffee supplies and is also nicely sized to shove all of your power cords, tablets and such into. 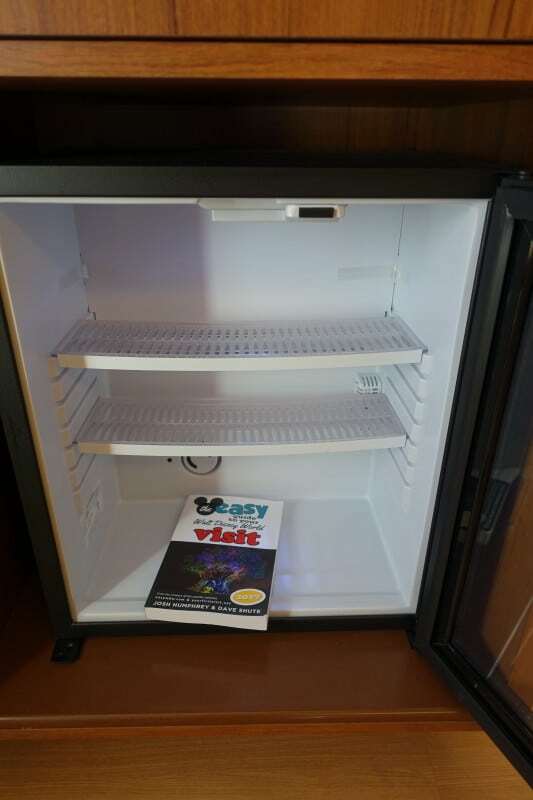 The mini-fridge, as is common in new Disney World rooms, has a glass front so you can see what’s inside without opening it. I’ve propped the door open in this shot. 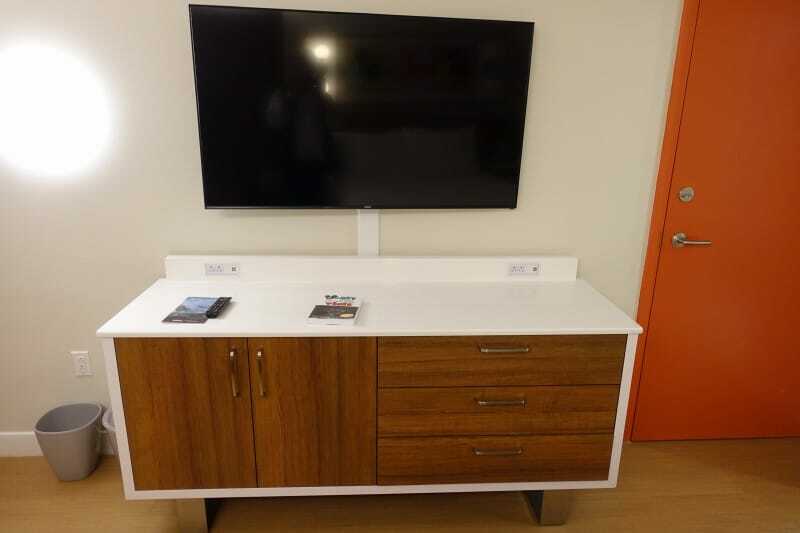 The dresser has drawers on one side and shelving and a safe on the other, is flanked with two sets of power points each of which can charge four devices, and is topped with a 54-inch TV. 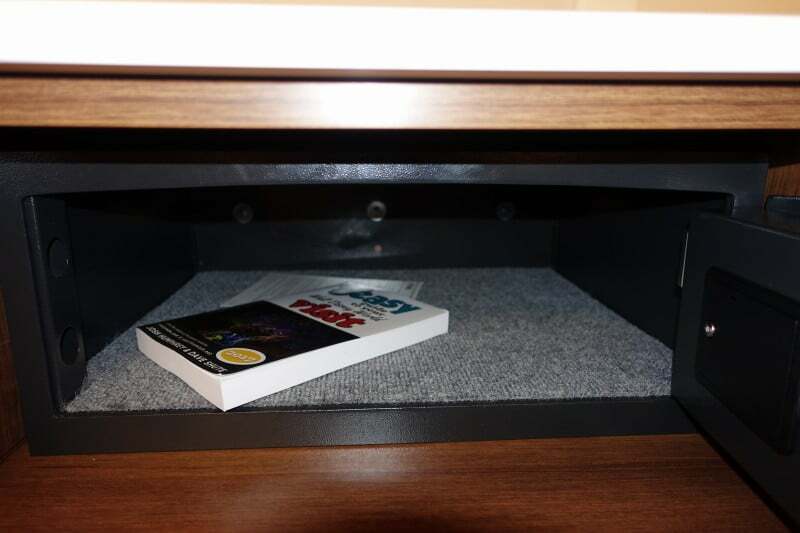 The three drawers are 31 inches by 13 inches but only 4.5 inches tall. 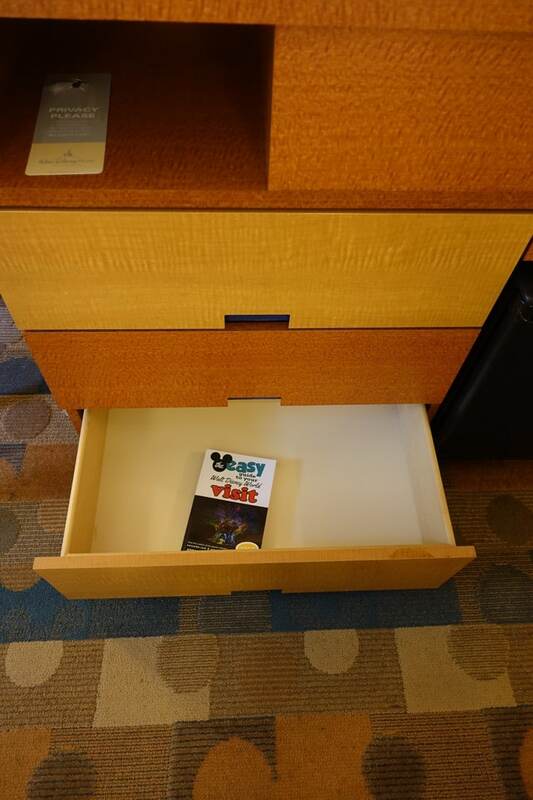 This is still much more storage in these new rooms than in the un-refurbed rooms–their dresser/ mini-fridge and dresser drawers are shown above. 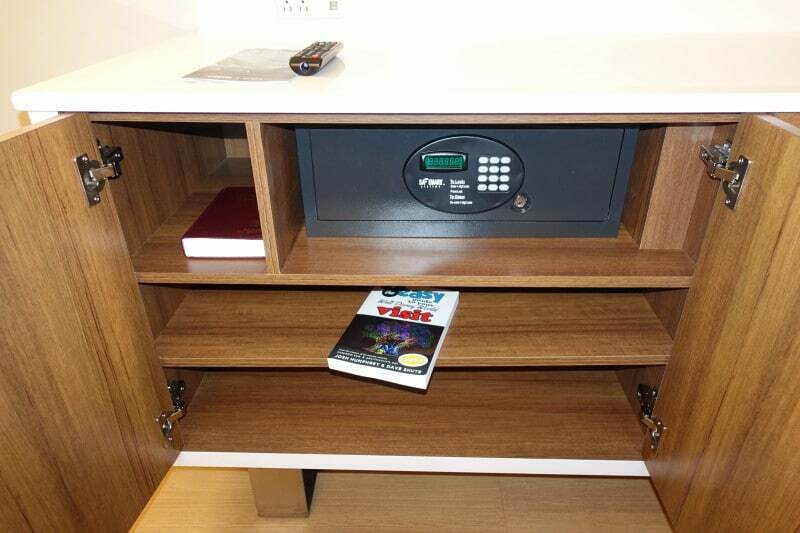 Back to the refurbed room, next to the drawers are shelves and a safe. I measured the safe as 19 inches by 15 inches by 6.5 inches tall. 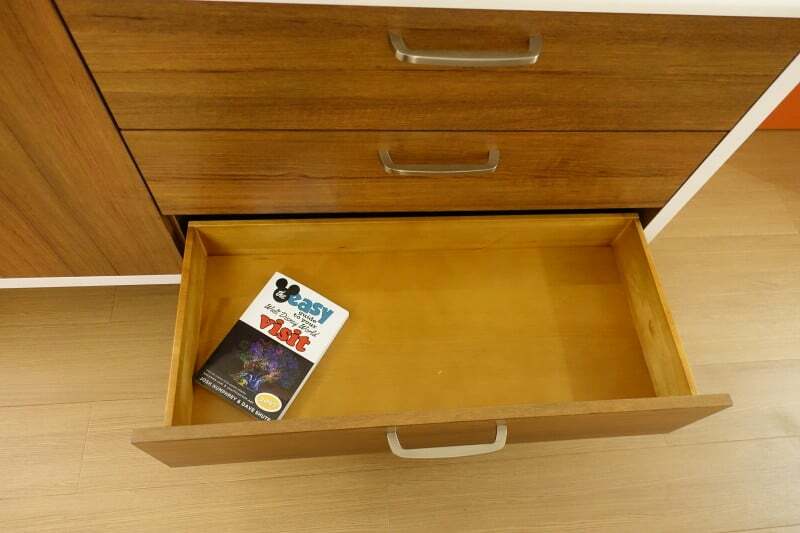 If your electronics won’t fit in here, you are on the wrong vacation. 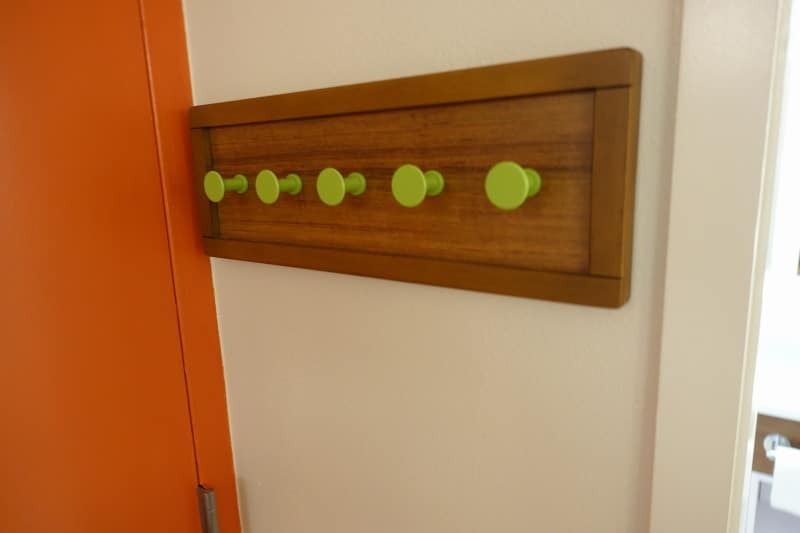 By the connecting door you’ll find this coat rack. 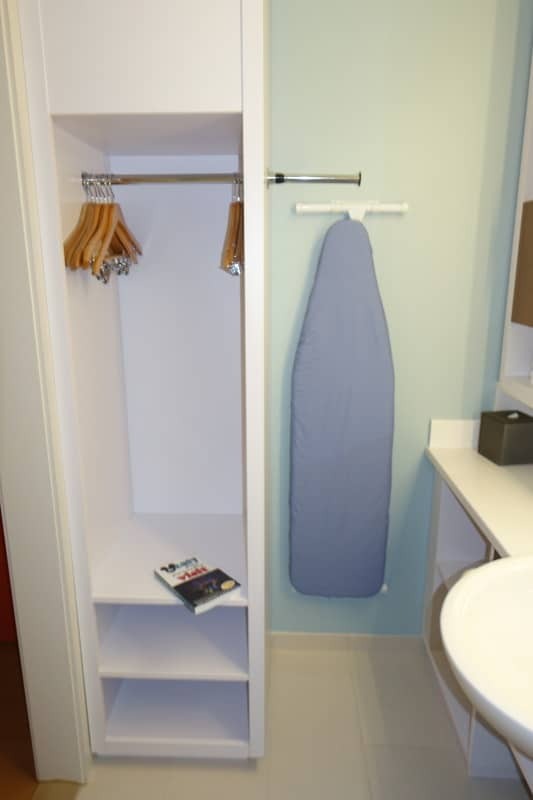 In the back of the room are the sinks, closet, and, in a separate space, the toilet and shower. 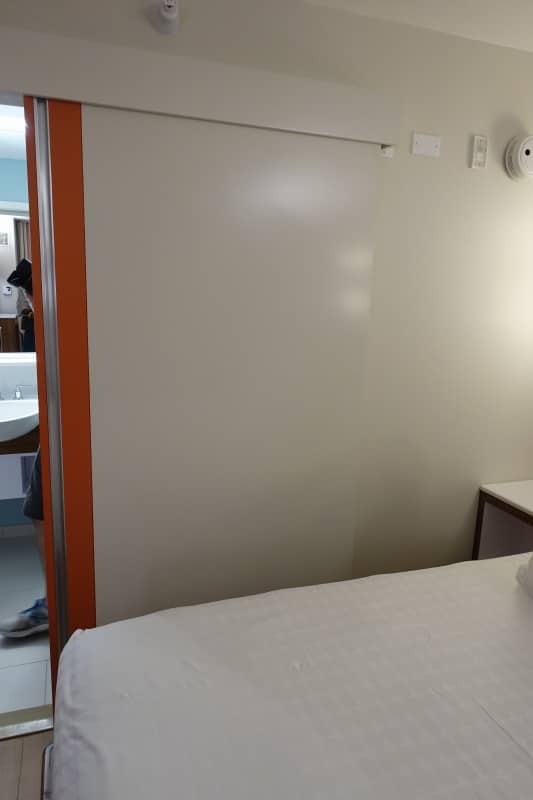 In a first for value resort standard rooms, the overall bath and dressing area is closed off from the rest of the room with a sliding solid door, rather than the fabric curtain you’ll find in other such rooms. Here’s the sliding door almost closed. Note all the crannies and cubbies around the sink. 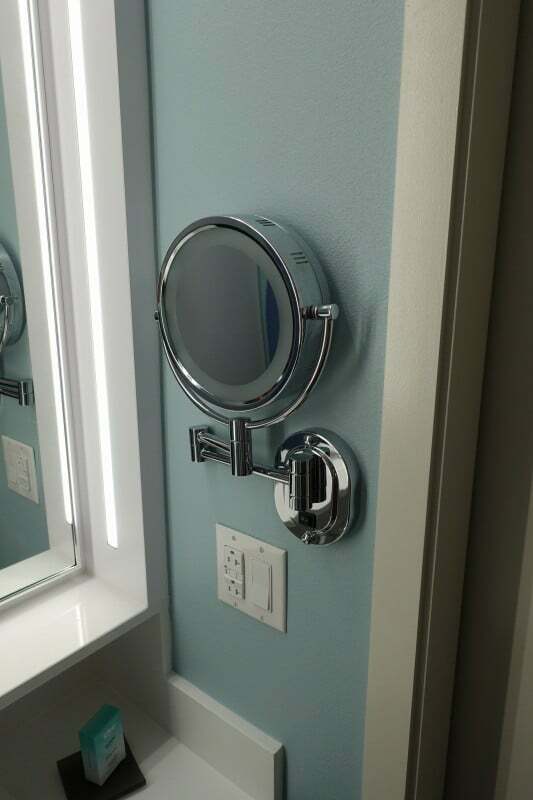 On the right side of the sink you’ll find this make-up mirror. 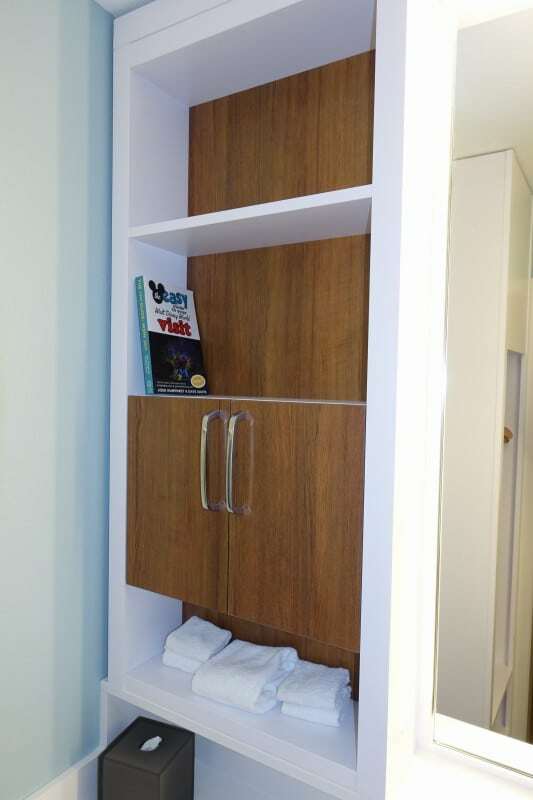 On the side of this space is a solid hanging closet–another first in a standard value resort room. 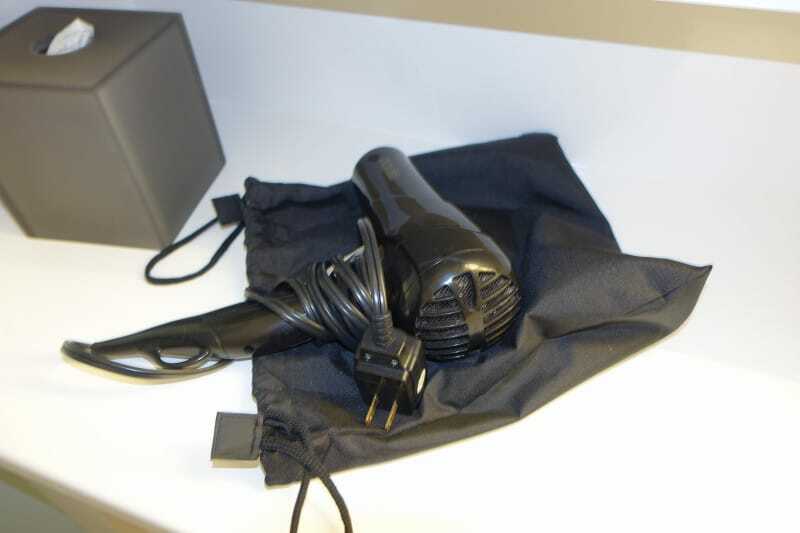 There’s 19 inches of hanging space inside, and another 9 inches on the rod extension to the right. 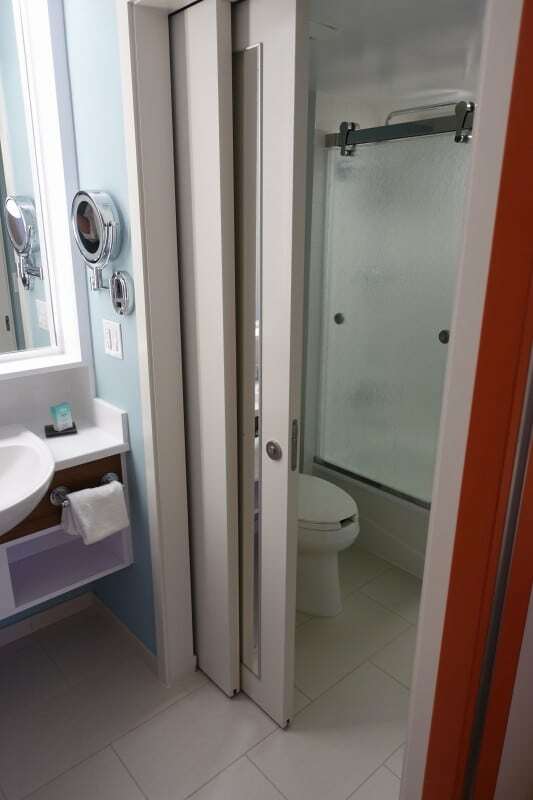 The toilet and tub are enclosed by this two-part sliding door. The tub is enclosed with sliding doors–a more straightforward arrangement for most than a billowing shower curtain, but an awkwardness for bathing children. 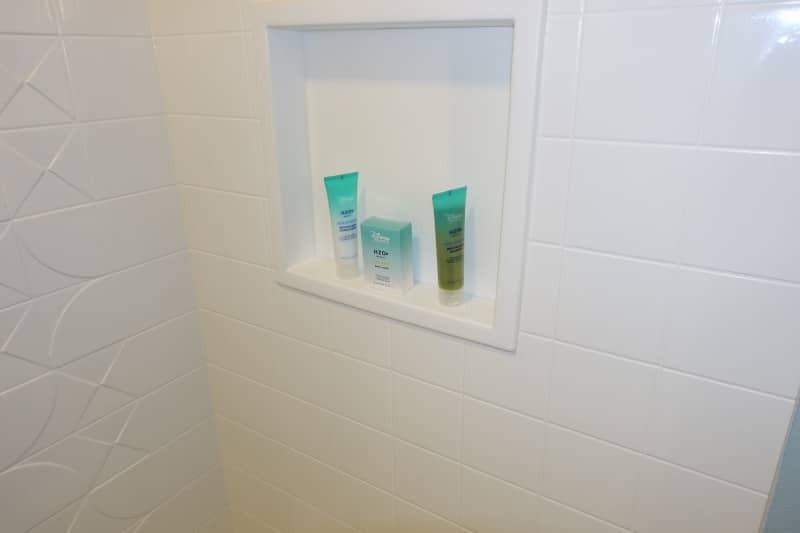 The shower has both rain fall and hand-held heads. 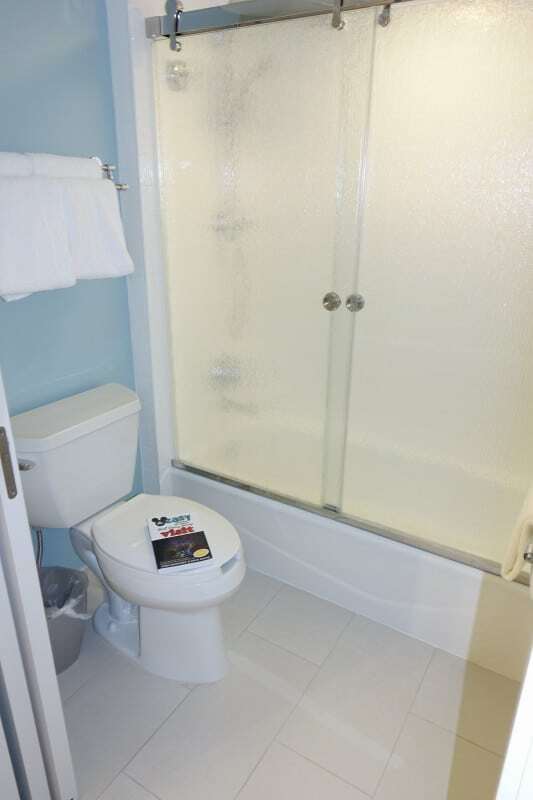 Some of these rooms only have showers, no tubs. This photo came to me from alert reader Ann. Back into the main area, the other side of the room has a table and chairs and a fixed queen bed. The bed side from the back. …and of the art above it. 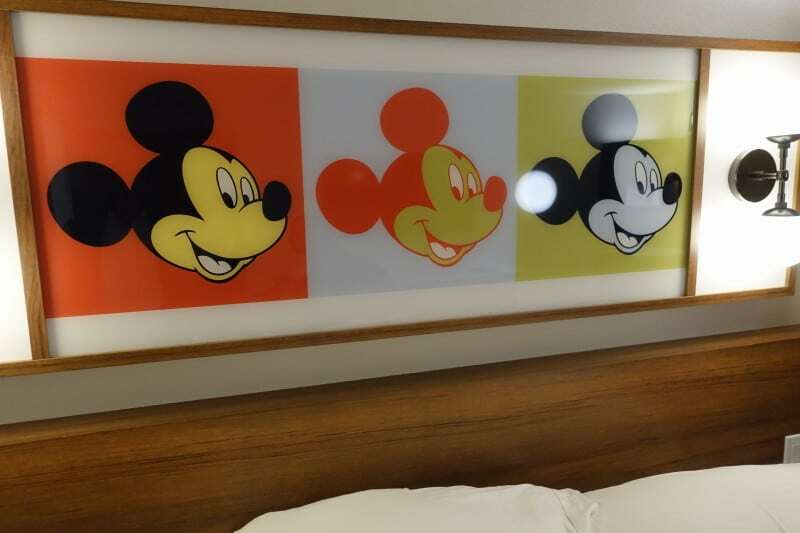 Just with this, these refurbed Pop Century rooms have more Disney theming than any other value resort rooms except the Little Mermaid rooms in Art of Animation…and there’s more to come. 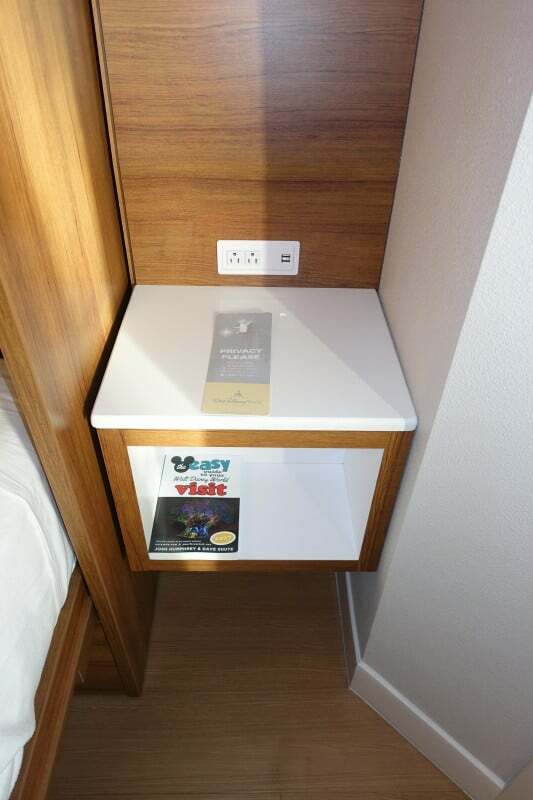 Another new feature of this refurbed Pop Century room is space under the bed for storing your suitcases. There’s 14.5 inches of clearance, which will fit most rolly bags. 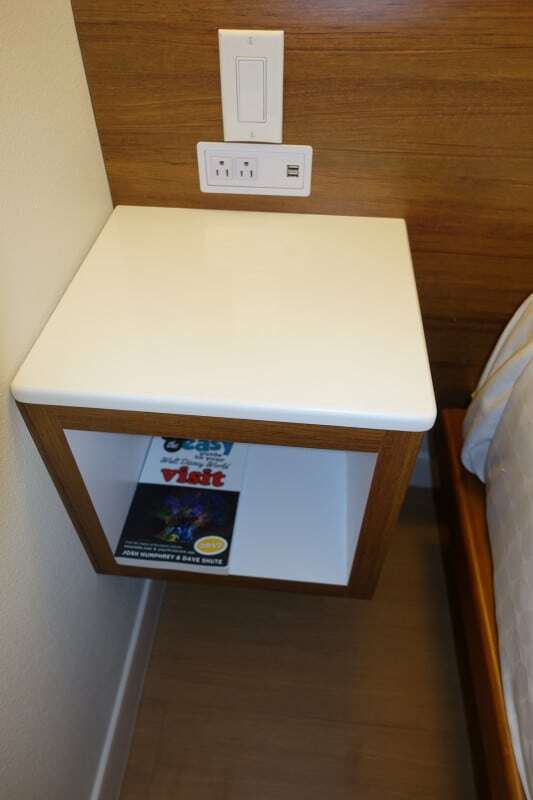 …and another between the bed and table. 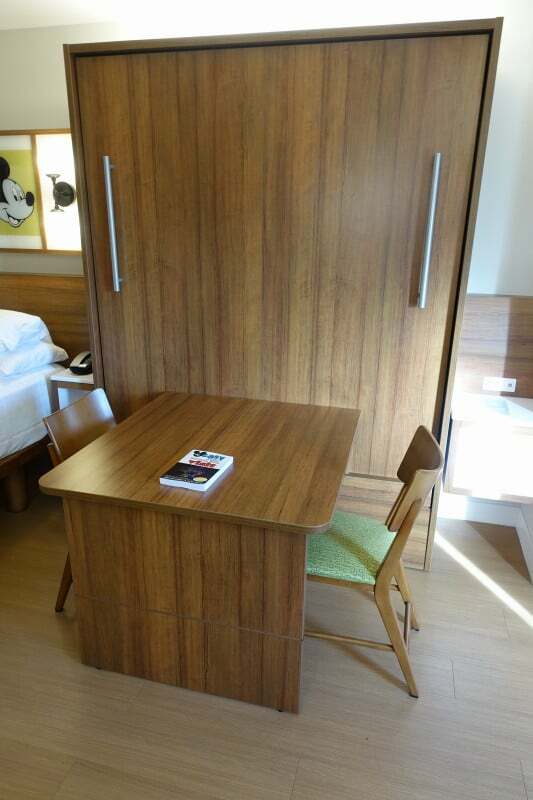 The distinctive feature of this room is the fold down bed, found behind this table and chairs. 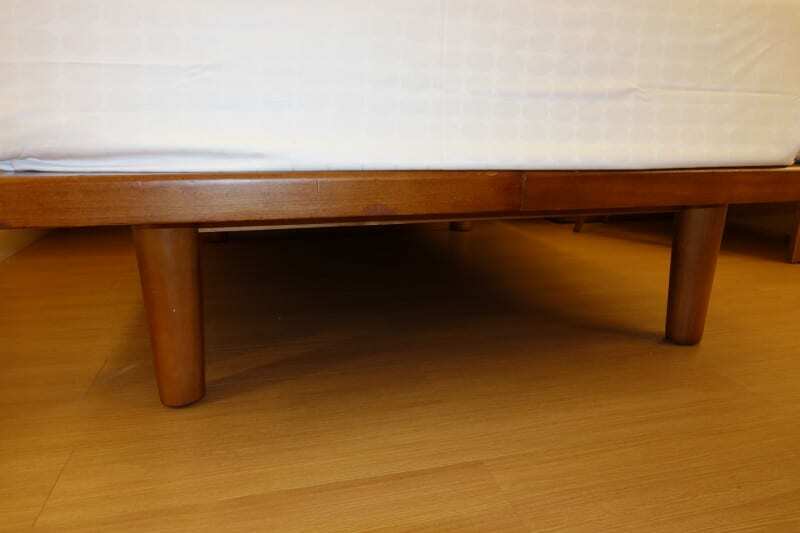 …pull the two handles, and the table disappears and this bed replaces it. 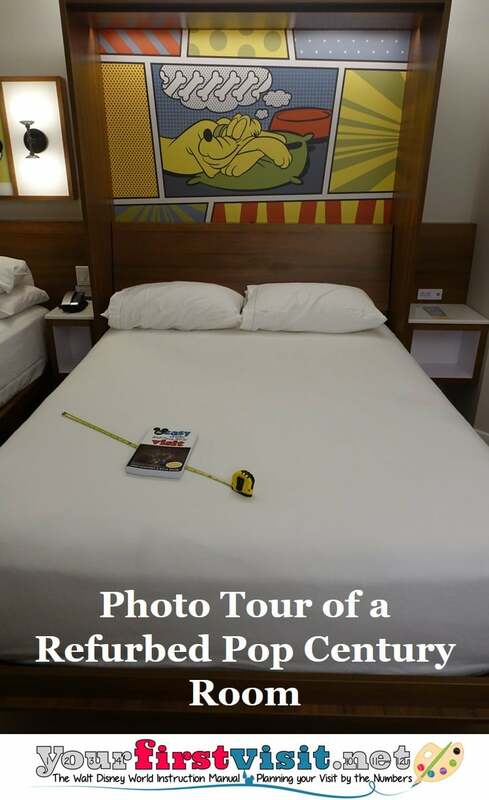 I measured the fold-down bed as 59 inches by 79 inches–just an inch short on both dimensions of being a queen, but it’s so much larger than a full (which would be 54″ by 74″) that none can quibble at calling it a queen. 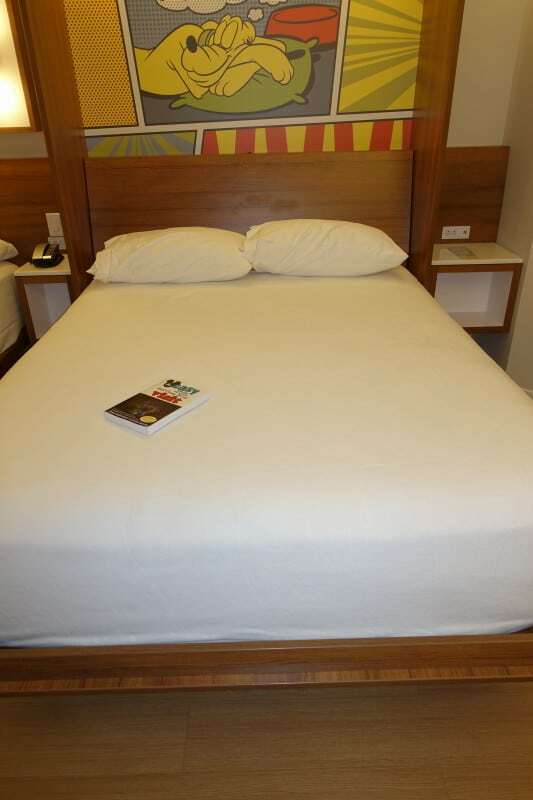 The mattress is a full 12 inches deep–as deep as that of the fixed queen. 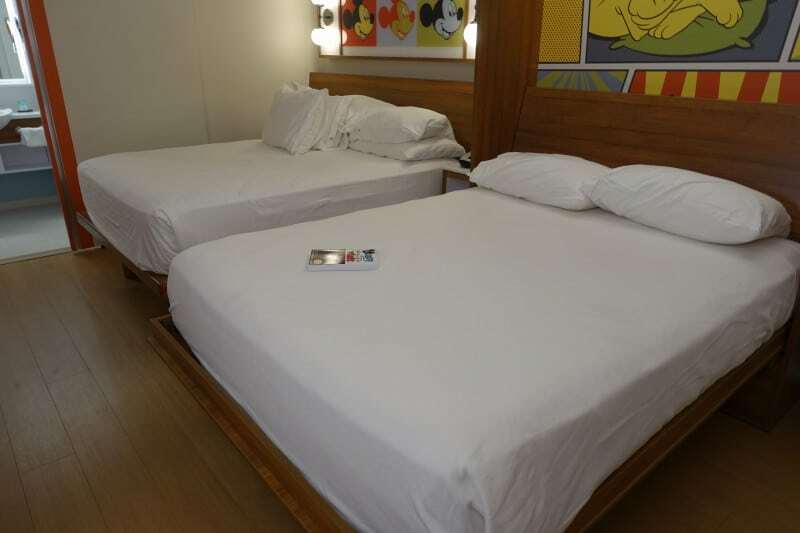 This bed is entirely appropriate for adults, and in fact adults might prefer it, as they can put the kids in the fixed queen and use the table until they themselves are ready for sleep. 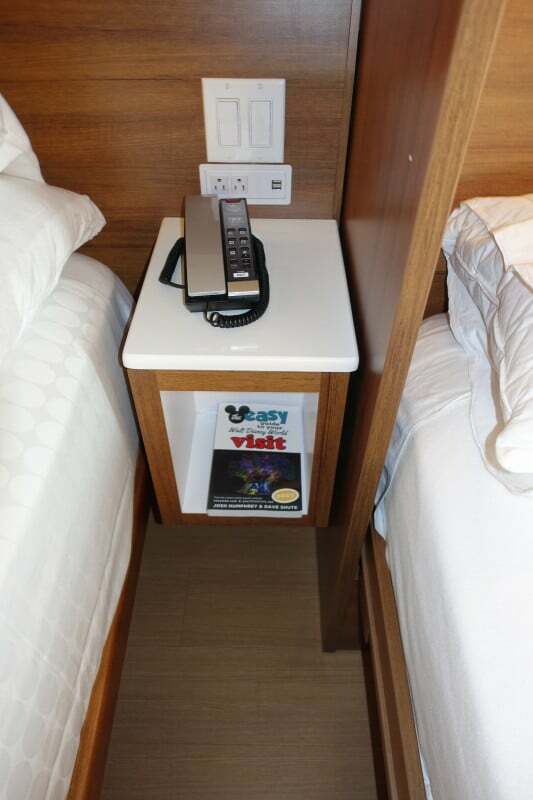 There is yet another cubbie and power point between the fold-down bed and outer wall. Some have wondered if an air mattress would fit between the table and the door. 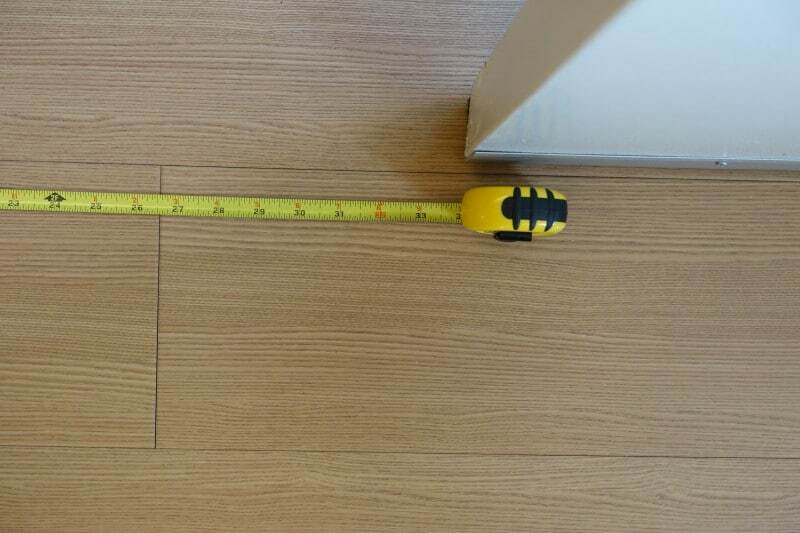 I measured the clear space between the full opening of the door and the edge of the table as just about 34 inches. With the bed down, this space will shrink by about a foot, to ~22 inches. 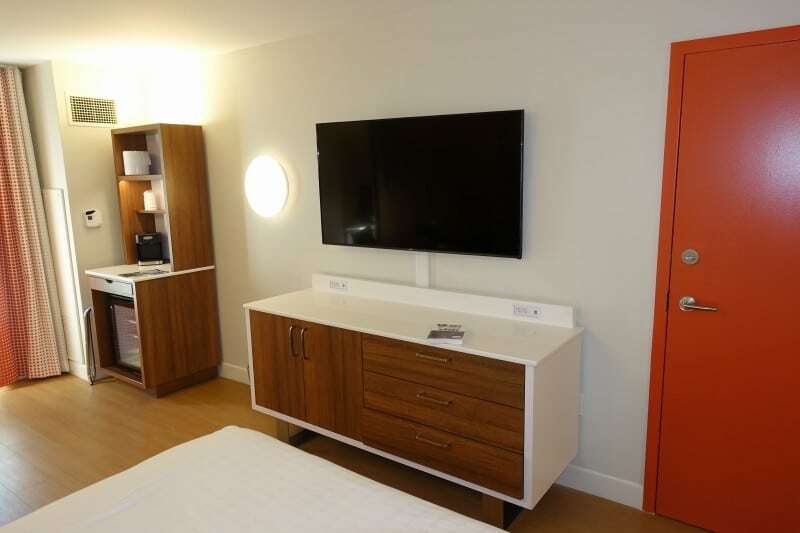 The addition of the queen-sized beds and coffeemaker is a clear win, as is the safe, the shower heads, the sliding solid door to the bath area, and the make-up mirror. 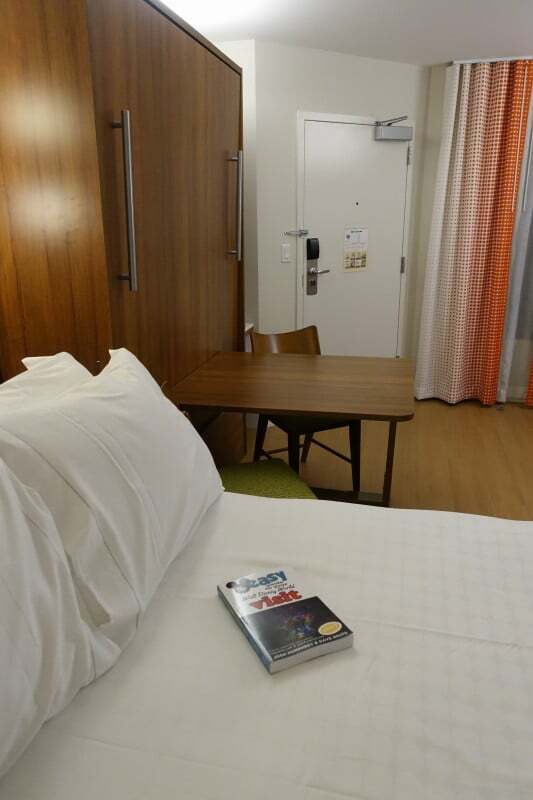 The loss of the table when both beds are down is a bit of a pain, but as noted there are a couple of work-arounds–e.g. putting the table users in that bed. 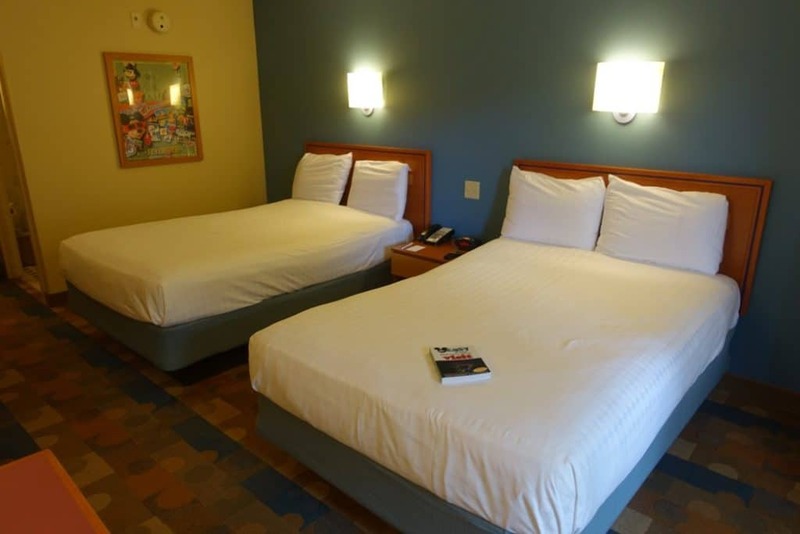 While bright white, these rooms have more Disney theming than almost any other value resort rooms, and as most resorts have now lost their bed stripes, white bedding is now the thing at Disney World, not a Pop Century specialty. 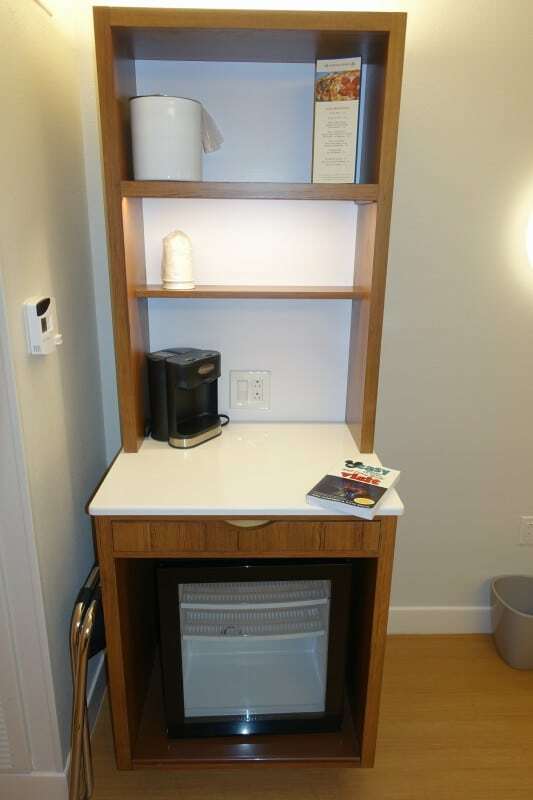 And I know I repeat myself, but queen beds and a coffee maker wildly improve the livability of these rooms. Dave, I’m so sorry to hear about your dog. Wishing the best to you and your family. 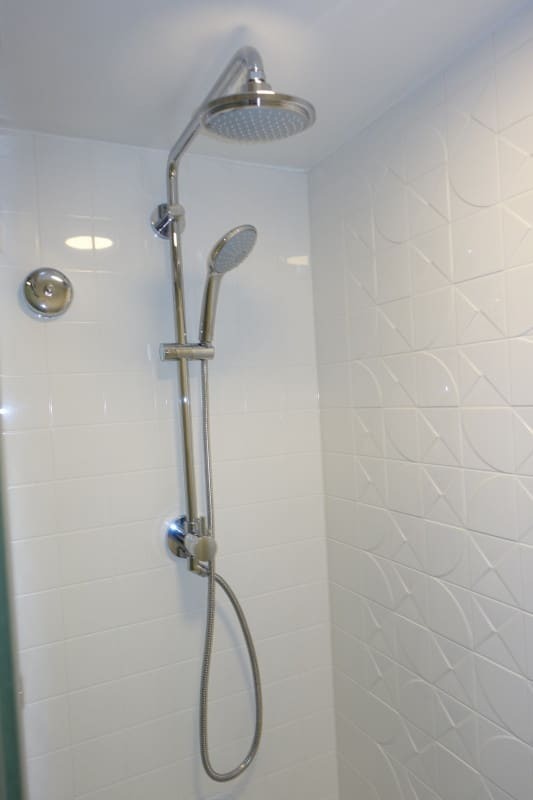 Wondering if you have photos of wheelchair rooms with roll I. Shower? 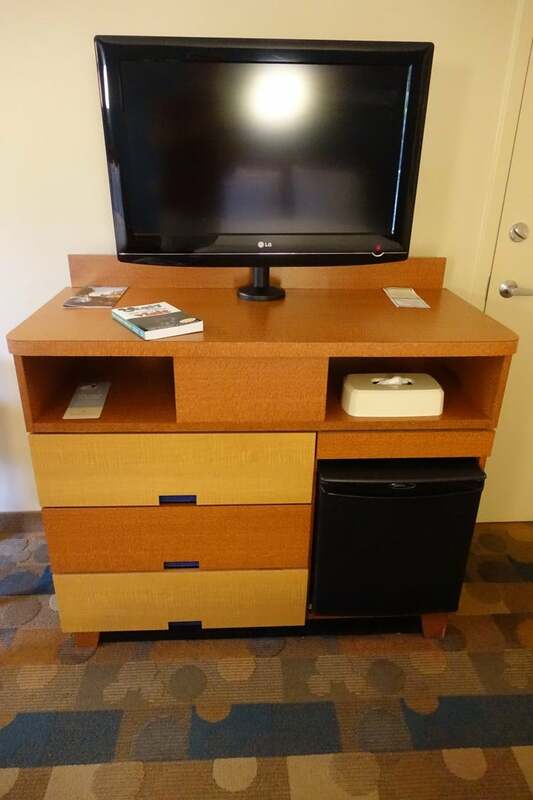 Do you know the measurement from the bed to the dresser under the TV? We are traveling with older teens and were hoping a camping cot would fit there. Cady, I don’t know but can estimate. The room is around 11′ 10″–or 142 inches–wide. A queen is around 80 inches, and I have the dresser drawer width as 13 inches (flat TVs allow much narrower dressers). Adding those together, and throwing in 9 more inches for dresser structure, the headboard, etc, gets me to 40 inches of space between them–that may be off, but it suggests that say a 30″ cot would fit fine. 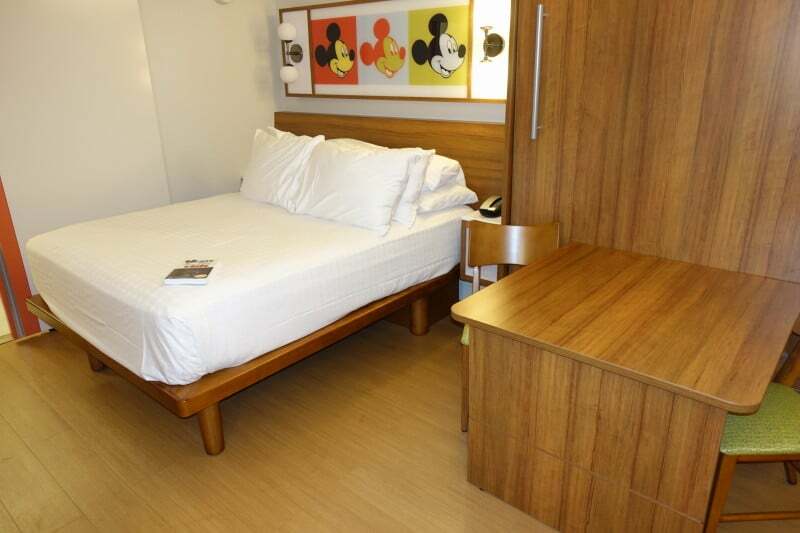 Dave, just my take on a refurbished Pop Century room with shower not tub. We found it to be precarious in the shower without a grab bar especially when soaping and cleaning feet for little ones and adults. 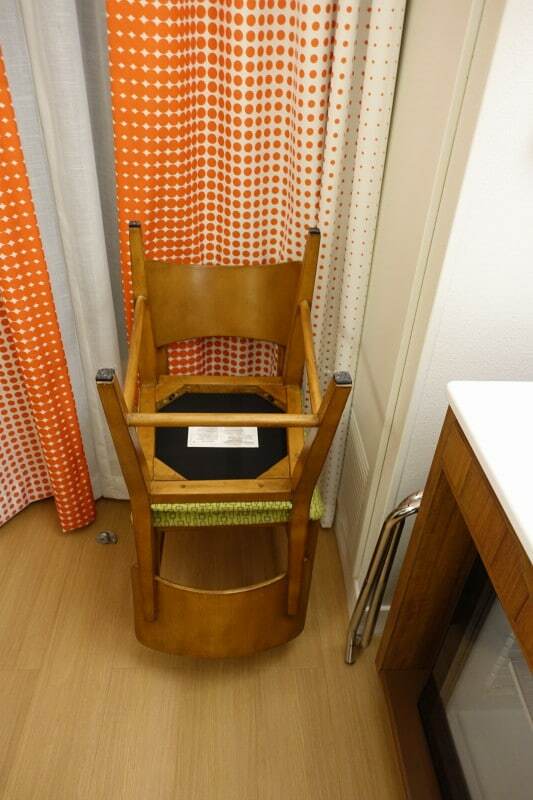 On previous stays, we found it easier and safer to bathe kids in tubs with curtains and grab bars. We asked to change rooms but were told the resort was full! 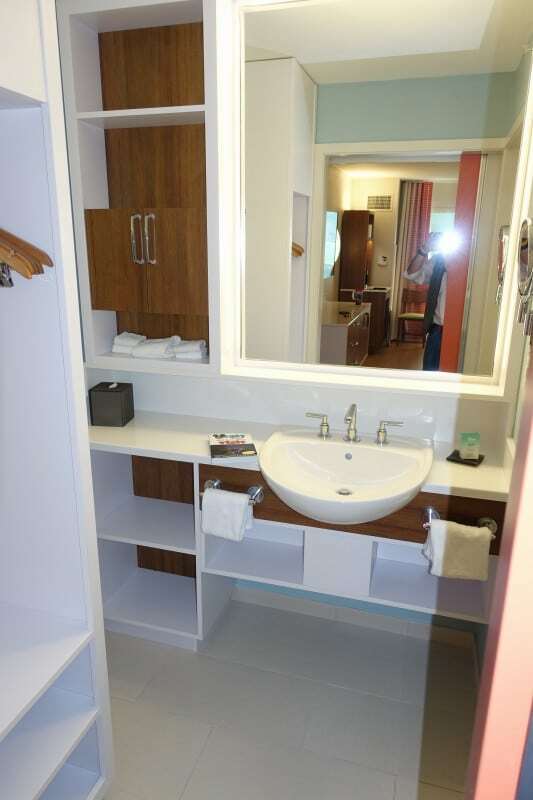 Great review… I just got back and loved the rooms at pop… i especially love how the changing area and sink are separated from the shower and toilet… so much so that I am going to copy this type of layout for my own bathroom…. 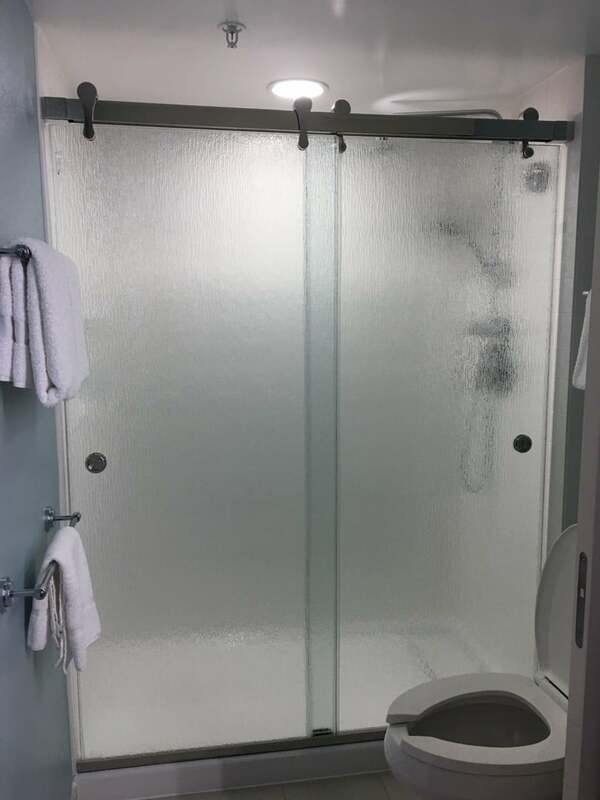 heres my unique question, do u know the company that makes the shower doors and sink? I would like these exact models at my house! 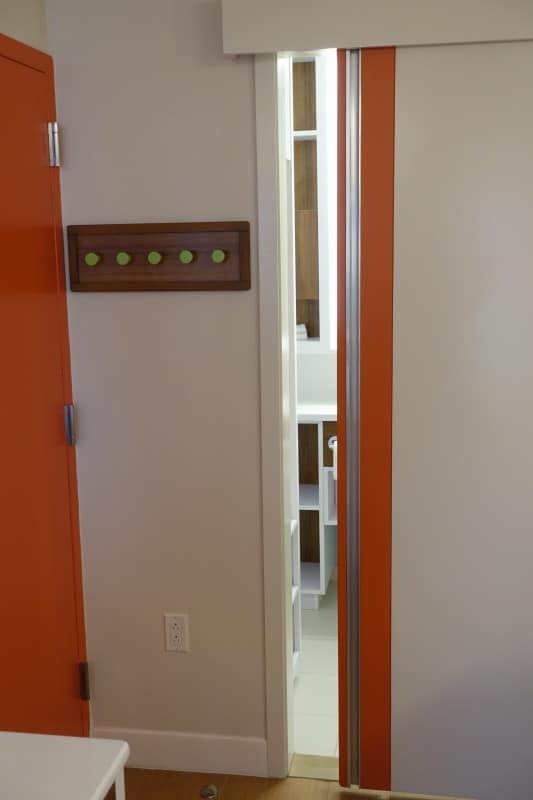 Pocket doors as well! Thanks and great job! Hey Vincent, and thanks. WIth just a couple of exceptions, all the Disney hotels have a divided bath layout roughly like this. I dunno who made the stuff. There should have been a note in your room with the email of the GM of Pop–you could email him or her with the question. If you don’t have that paper (and most would not!) I can try to search to find it for you!